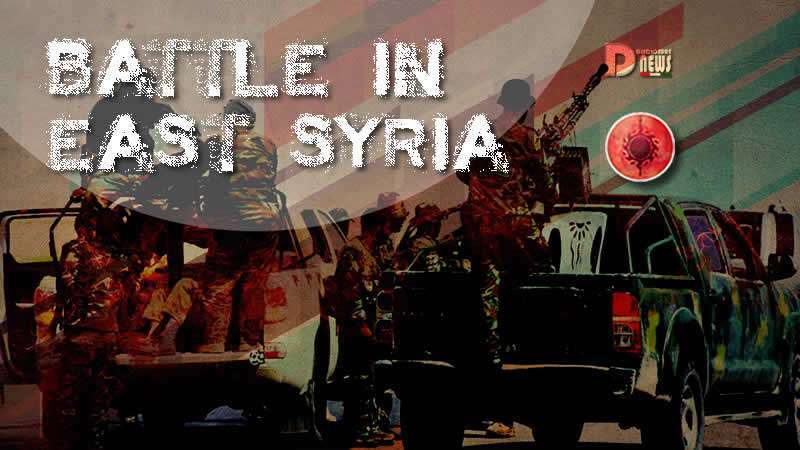 Battle in East Syria. By South Front. Pro-government forces have liberated the al-Hadalat refugee camp from US-backed militant groups near the Syrian-Jordanian border. The Hadalat refugee camp had been an important facility controlled by US-backed forces. Its population is about 5,000 people. According to pro-government sources, government troops are going to continue their efforts in order to take control of the Rukbah refugee camp and to isolate the US-held garrison in the village of At Tanf located at the strategic Damascus-Baghdad highway. 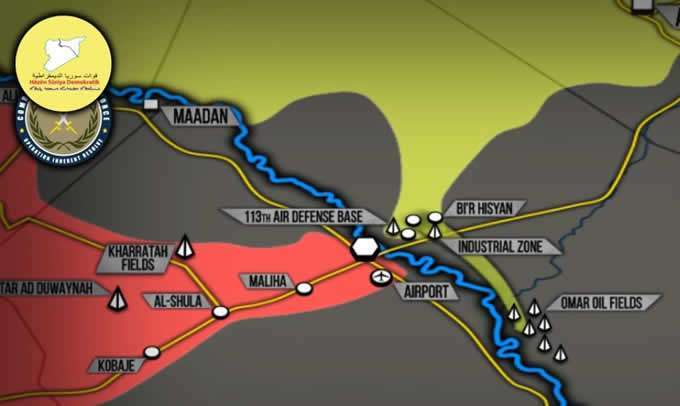 The government advance is ongoing amid constant speculations that the US-led coalition is going to force Usoud al-Sharqiya, Martyr Ahmad Abdo Forces, and other militant groups to withdraw from the border area under some deal with the Syrian-Russian-Iranian alliance. However, no real actions have been made by the US-led block so far. The Syrian Arab Army (SAA) Tiger Forces and the Syrian Republican Guard (SRG) continued operations against ISIS in the vicinity of Deir Ezzor Airport securing this strategic facility. If the SAA and the SRG don’t launch an operation against ISIS inside the city soon, this could indicate that they are preparing for a push to the another bank of the Euphrates River. The US-backed Syrian Democratic Forces (SDF) have developed their advance against Daesh in Deir Ezzor province and captured the Deir Ezzor industrial zone, the 113th Air Defense Base, Bi’r Hisyan, and some nearby points, according to pro-Kurdish sources. With these advances the SDF deployed to within about 5km from Deir Ezzor city. Earlier this week, US-backed forces announced plans for “liberating Deir Ezzor city” and forming a “civil council” to rule the city after its expected liberation. On Monday, “a group of tribal sheiks” linked to the SDF-controlled Deir Ezzor Military Council (DMC) released a statement claiming that the DMC and the SDF are going to liberate Deir Ezzor city “from the clutches of IS mercenaries”. The statement also announced a formation of committees that will supervise the formation of the Deir Ezzor Civil Council to rule Deir Ezzor city and its countryside after its liberation. The statement did not reveal how US-backed forces are going to liberate Deir Ezzor from ISIS when a major part of the city is already liberated by government forces. 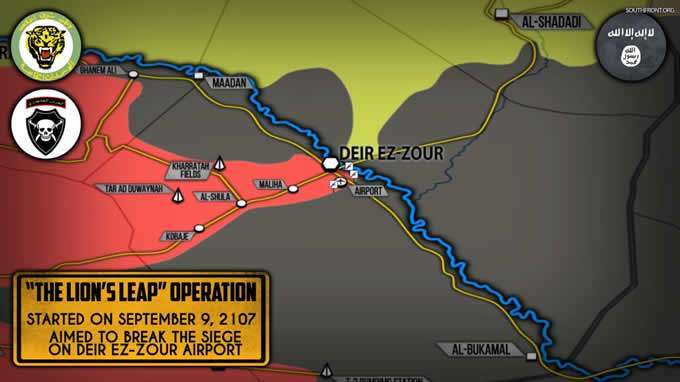 If US-backed forces really attempt to seize a part of Deir Ezzor city under a pretext of combating ISIS, this may lead to fighting between the SAA and the SDF on the ground. However, the SDF actions will likely depend on the SAA progress in the city. If it is not able to capture a part of the city, the SDF will likely try to seize the Omar oil fields east of it.